For the past few weeks, Benjamin has been totally mad for trains. We had a small wooden train set from when Isabella was younger, but Benjamin’s been desperate to get more track and trains so we have actually got more for his birthday in a few weeks’ time. 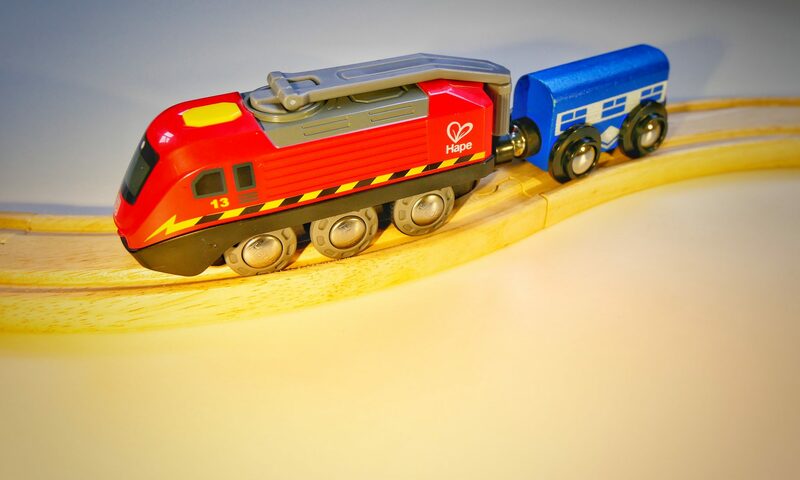 Hape have kindly sent us three new trains for kids to try out too. We have the Solar Powered train, Hand Crank Powered train and the Remote Controlled train. The Solar Powered Train is really smart. The solar panel at the top of the engine charges the built in battery and you can see how charged your engine is through the electricity level indicator. Simply touch the button on the side to see how much charge your train has. When charged, you can press the top button which turns on the train’s headlights. I was slightly disappointed that the train didn’t move as it would have been really cool to see but the light feature is still great. The children love testing out different light sources to see how they can charge the train up quickly. 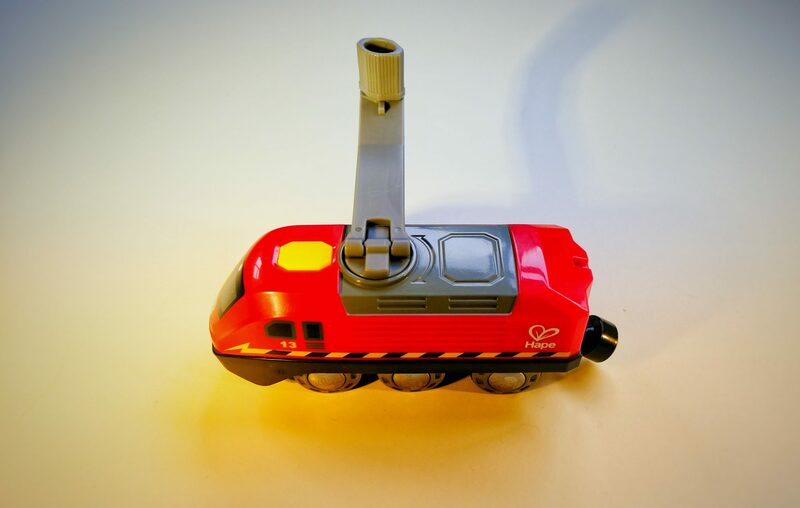 Hape Hand Crank Powered Train is my favourite one out of the three. 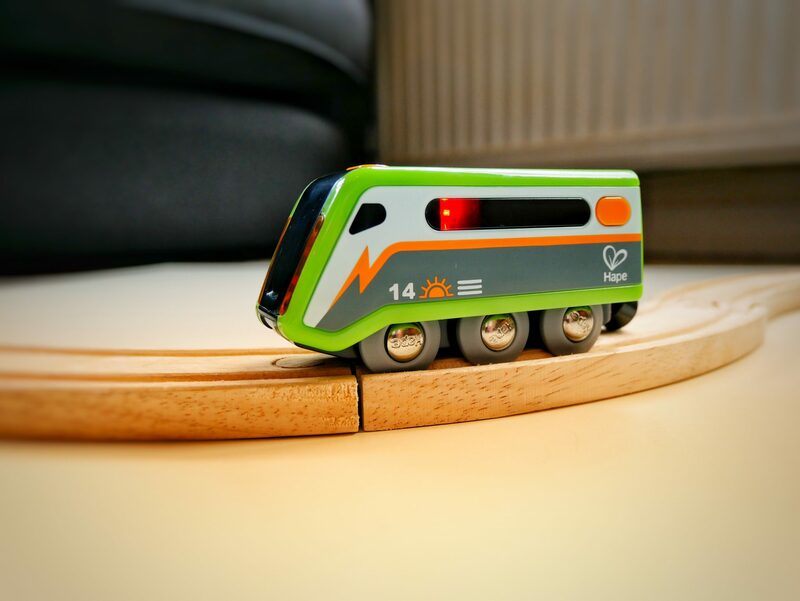 You charge the train through kinetic energy by turning the crank to store power in the battery. Showing the children how you turn the handle to create energy and watch how long the power lasts has been great fun. Once you have stored enough power, you can drive it down the by pushing the yellow button on the top of the engine. It is recommended that you charge the train at least once a month, which won’t be a problem here! 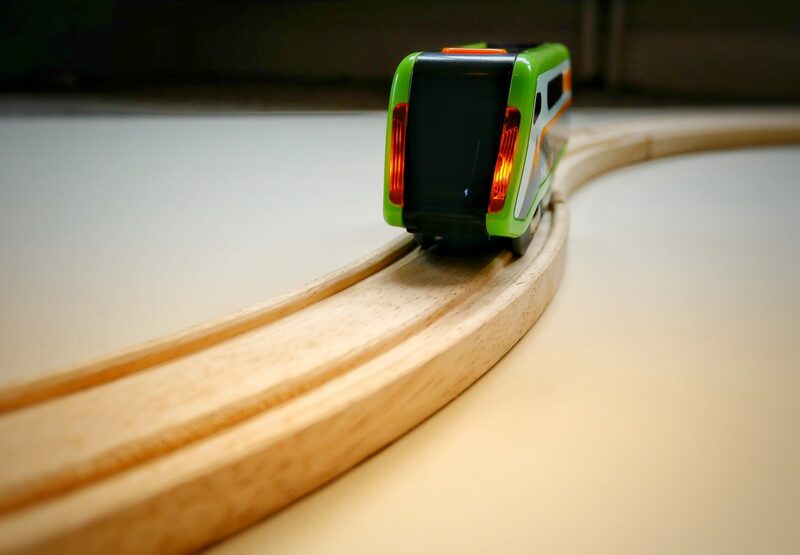 Finally we have also put the Remote Controlled train through its paces. 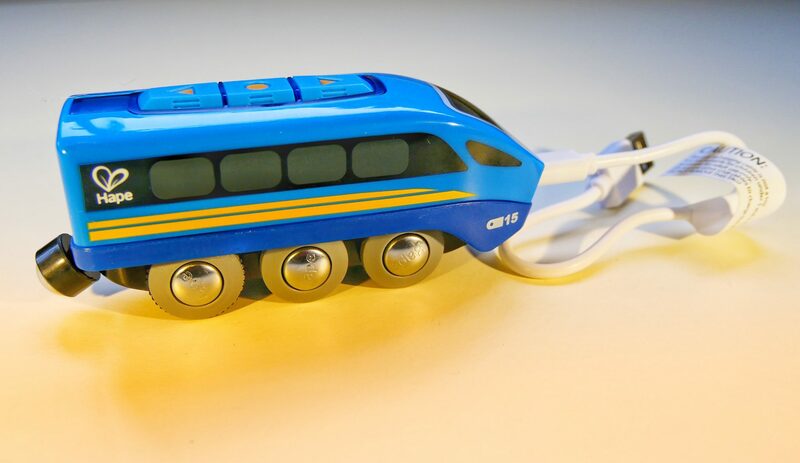 This train needs charging and comes with a short USB charging wire and a free Bluetooth App which lets you adjust the speed of the train as well as drive it forwards, backwards or stop it. If you don’t fancy using the app, you can use the three buttons on the top of the engine and play the sounds. There are 5 different sounds which makes this train super fun to play with. 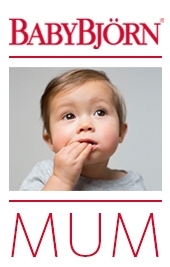 The App works really well on the iPhone and the buttons are big enough for the children to navigate easily. As well as being able to move forwards and backwards and controlling the speed level, you can also adjust the lights and sound the horn. 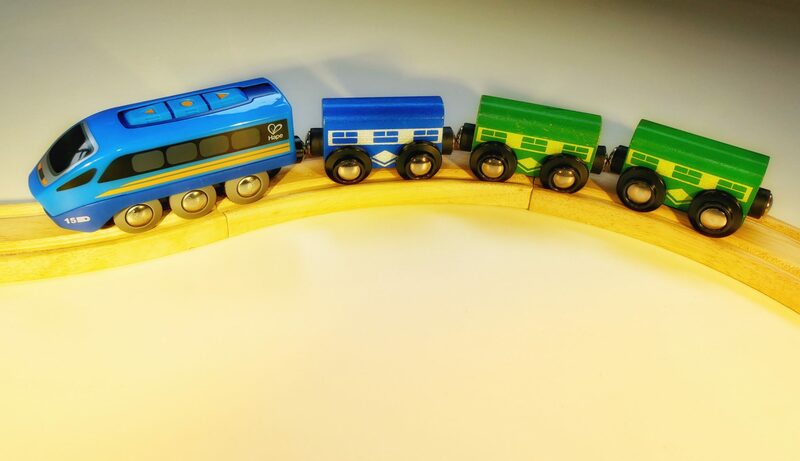 These have been a great addition to our train set and I can’t wait to let Benjamin loose on the extra track we have got him for his birthday. Do you find trains for kids just as fun as an adult too, or is that just me?